Technology is a hyper-fast industry, where devices go outdated in as little as a few months. Companies are hastening the product update cycle in order to keep revenues flowing in, and bombarding the market with products to lure customers into buying more than they need. In this scenario, there are some gadgets that are not only excellent in their own right, but even comparatively, stand head and shoulders above many in the competing league. However, myriad reasons such as lacklustre marketing campaign, flashier co-variants and niche audience demands mean they never rake in as much of the shipment numbers as many of their compatriots do. Furthermore, these products are often under-appreciated, and seldom will you find them being addressed as mass products. As is the norm, 2018 has also seen the launch of multiple such products, a select few of which have made it to India as well. Here’s looking at some of the most underrated gadgets of 2018, in no particular order of arrangement. The very first entry in this list is slightly debatable in its own right. No iPad is really too underrated — since pretty much all of them perform well, and are decent sellers as well. That said, how we adjudged this is in relative terms. Ever since the introduction of the Pro lineup, Apple’s entire focus has been around persuading people that the iPad Pros are all that they need for all sorts of work. While that may indeed be true, the iPad Pros are not really replacing laptops (primarily because they run iOS), and as mobile devices, are often too expensive and overpowered. The standard iPad, meanwhile, is a bit of a hidden gem here — it has a 9.7-inch Retina display, an updated processor, is the right size for most users (12.9 inches of screen is a bit unwieldy), and with Apple Pencil support, is a competent overall package that automatically becomes good enough for the iPad Pro’s target user — when you pair this one with a third party keyboard. With a starting price of around Rs 25,000, you save loads of money over the iPad Pro tablets, and can even get a keyboard cover with backlight and better adjustment angles, still at lesser than Apple’s official smart keyboard. The sixth generation iPad is good, but it just hasn’t received the sort of acclaim that its versatility made it deserve. You’ve probably heard of the baby camera in Fujifilm’s iconic X-System lineup that was introduced this year, but didn’t really think much about it. Thing is, whenever anyone in India decides to buy a camera and spend around Rs 40,000, they would seldom tend to think about the likes of Sony and Fujifilm, primarily because cameras made by these two Japanese companies have almost always been somewhat expensive. The X-A5 changed that entire notion, this year. Sure, the X-A5 makes a few compromises — shallow buffer depth, 4K shooting capped at 15fps and so on. However, with a 24-megapixel Bayer filter APS-C sensor, the same image processor as the more expensive X-E3, full HD video shooting at 60fps (creative slow-mos for short films), excellent photography quality at extreme ISOs and beautifully balanced sharpness, vividness, contrast and colour accuracy, the Fujifilm X-A5 should become the de facto recommendation for anyone looking for a versatile camera at a tight budget. It is also a mirrorless camera, which makes it very light. Add all of it together, and you get a camera that is brilliant at photography, sufficiently good at videography (if you are content with shooting at Full HD) and a modern package on an overall sense — with a touchscreen and a hot shoe. It deserves significantly more credit than what it has received so far. And in case you’re looking for a pocket shooter with incredible zoom capabilities (up to 40x), then Canon’s Powershot SX740HS comes across as an interesting proposition. Not only its compact, but priced attractively too — around Rs 27,000. The first time we used a GoPro, we were pretty impressed with having gone snorkelling, dipped multiple times in the sea and come out with rather thrilling, live action, point-of-view footage from underwater. Similarly, the first time we used the first-generation Osmo, we were supremely impressed with the level of stabilisation it could achieve. Just as luck would have it, the DJI Osmo Pocket has actually slapped the best of both worlds into one, bringing supreme mechanical stabilisation, with the same camera specifications as a GoPro action camera. Now, not only can you get underwater video footage, but get so at really smooth, jitter-free, fluid motion. Furthermore, with 4K videography at 60fps, you can actually get smooth slow-motion footage of your adventure holidays, at peak video quality. It is possibly the most utilitarian imaging gadget — not just for the adventure community, but for everyone in general. Remember when pretty much all of us compulsorily owned a music player? In fact, for the majority of us growing up in the ‘90s, owning a Walkman or an iPod Shuffle swiftly became a lifestyle choice. That entire era came to a rather brutal end, when we shifted to mobile phones that supported third-party headphones and sizeable storage. While the smartphones dealt the killing blow to portable music players, many simply adapted their players into serving a niche category. On that note, the FiiO M7 is a near-perfect balance of price, form and functionality. 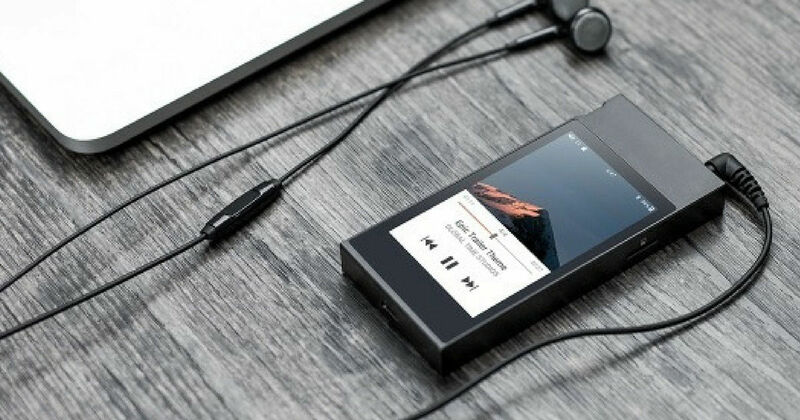 If you are an audiophile and have been on the lookout for a high-res lossless audio player, supports both wired and wireless playback, and looks its part too, the FiiO M7 is what you need to hear of. You probably haven’t, because while it is a necessity for the core audiophile, it is an indulgence for the average consumer. That said, what makes the FiiO M7 brilliant and deserving of more attention is its attractive price tag of Rs 16,990. Buying a TV can be a tedious affair, and for most, TCL isn’t the very first name that crops up when looking for a 4K smart television. However, not all of us have the budget to buy a glorious Sony Bravia. For many inexpensive TV makers, the target is hence to provide loads of the latest features, at a very competitive price. Take the TCL 43-inch P6US TV — it has a backlit LED display panel, with 4K screen resolution, 60Hz refresh rate, HDR playback support and 178-degree viewing angles. The 60Hz refresh rate of the display panel ensures flowing motion in films and video games, and having a 4K HDR television means it can take full advantage of the latest gaming consoles. Furthermore, you also get a smart television interface, with Bluetooth and Wi-Fi to connect to the internet, or use an external wireless speaker for better audio. At just over Rs 30,000, you get all this, plus native support for Netflix, YouTube, and so on. If the interface is not up to your choice, you can simply opt for an Amazon Fire Stick 4K (review), and you’ll still have saved a sizeable chunk of money. The TCL P6US television is a hidden gem among TVs in India — one that is severely under-appreciated. Remember the LG G5, when LG had us all excited with swappable mods to super-charge our phones? Up until that point, LG was doing exciting stuff with smartphones, with its flagship devices packing in compelling cameras, fluid performance and curved display panels that, let’s be honest, was still very cool albeit not purely functional. Over the last three years or so, however, the company seems to have lost steam, and despite the likes of the LG V30+ (review) and others, smartphone sales for the company still remain rather small. The G7+ ThinQ, in fact, is an embodiment of the company’s present status — excellent technology, great performance and even a little bit of swagger, but a whole lot of under-appreciation. While LG’s G7+ ThinQ has been far away from widespread critical appreciation, here’s hoping that the company can get back to bucking away from industry trends and come up with devices that stand out by virtue of novelty. Maybe that’s one way of getting back into the sales charts. The Sony MP-CD1 is another of those gadgets that were launched without much fanfare, and has remained that way since launch. In truth, however, it is another of those gadgets that can give you a huge number of possibilities within its scope of usage. The Sony CD1 pocket projector can actually fit into pockets of shirts and trousers, and is slim enough to not even feel heavy. Furthermore, it has an HDMI port on itself, and USB as well. The result? Up to 120-inch projections on walls and projector surfaces, and compatibility to cast phone screens for streaming videos, mirroring laptop screens or even playing on gaming consoles. It is not even ridiculously expensive for what it offers, and the Sony CD1 is presently on sale at around Rs 25,000. For frequent travellers or those living in shared accommodation, the Sony CD1 pocket projector can be the biggest revelation of the year. As of now, Amazon appears to be significantly stronger than Google (and Apple) in the smart speaker game in India. While many seem to be going for the Amazon Echo speakers, many seem to be overlooking the potential of Google’s own offering. The Google suite is yet to come to India with all of its features, and when it does, owning a smart speaker from the company’s stables would mean that you have a robust wireless smart network of connected devices, ready with Google’s wide presence in search, retail, entertainment and other services. Premiering at Rs 4,499, the Google Home Mini is a thoroughly competent package that can do a wide range of tasks using various services, alongside presenting a speaker that also sounds good. GOQii is a very interesting company, indeed. The fitness company, founded and spearheaded by Vishal Gondal, has built fairly well-appreciated fitness trackers that combine the technology with real-world supports. For instance, human fitness coaches help you on your way to fitness with regular consultancy, when you buy a GOQii Vital activity tracker. With GOQii Vital ECG (review), it has taken another step forward. It’s an activity tracker that, along with all fitness tracking activities, fuses constant heart rate and line-based ECG readouts. It includes a cardiologist consultancy upon need, alert for sudden changes in heart rate to prevent fatal cardiac arrests, and even bundle in an easy interest medical insurance plan for buyers. With very good pricing, the GOQii Vital ECG may well be one of the most crucial gadgets to have been introduced in 2018. So there you have it… the devices that flew under the radar, yet are a worthy choice in their respective segment. Do you think we have missed a gadget? Let us know in the comment box below.